Mageplaza Banner slider for Magento 2 is a supportive marketing tool which allows store owners to display unlimited eye-catching banner sliders on their Ecommerce website. By this way, the extension helps draw customers' attention as well as optimize their experience, with a user-friendly interface. 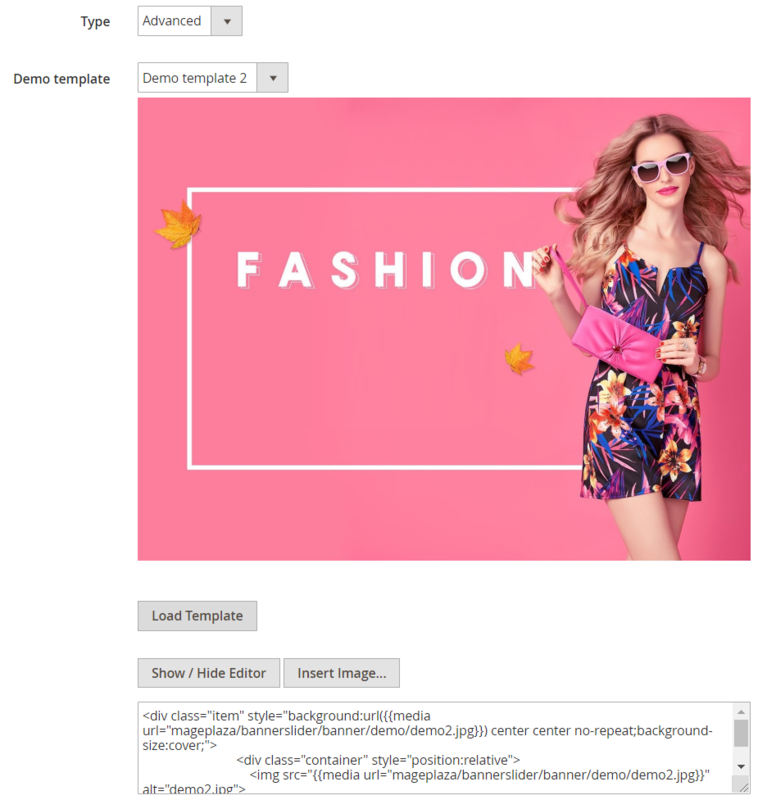 Magento 2 Banner Slider Module accordingly will help improve customer retention and prevent the site from being abandoned by customers. This actually will increase the rate of subscribers of the website. Q: Can I set the Banner to any places on the store site? A: Absolutely yes, you can configure it easily by adding Banner Slider widget to any CMS Page of CMS Static Block. Q: Is there any animation effects for Banners movement? 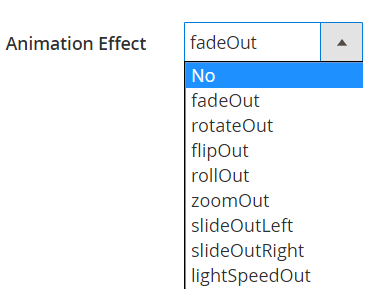 A: Yes, there are 9 optional animation effects for Banner Sliders displaying. You can select and flexible change it in the backend. 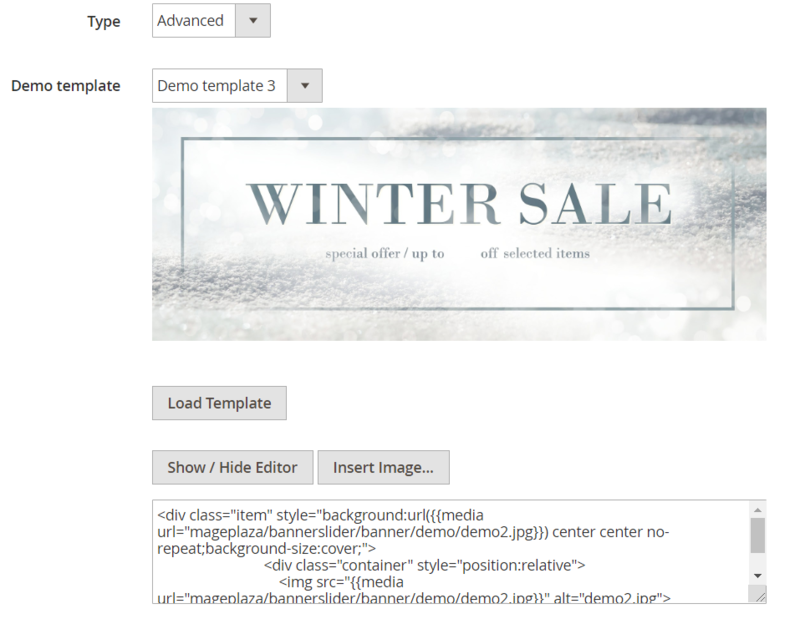 Q: Does this extension support any available templates for banners? A: Yes. We support 4 available templates that you can use for customization. Please set Advanced Type and select the demo template. See more information Here. Q: Can I create a Banner Slider Widget? A: Yes, you can create the widget by navigating to Content > Elements > Widgets, then set type as Banner Slider Widget and Design Theme. See more information Here. 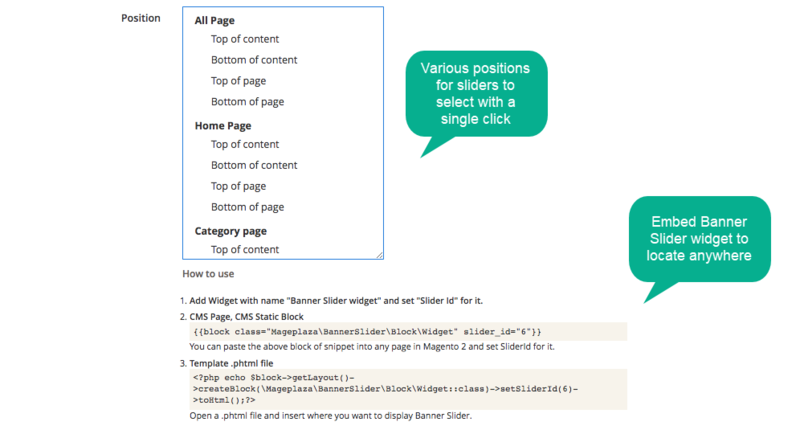 Banner Slider Extension helps store owners upload unlimited banners with ease. This tool supports multiple image formats as .ipg, .ipeg, .gif, and .png. The flexibility of banners and sliders location even can meet requirements of store owners with special marketing strategies. More amazing, the diversity in design, as well as the appearance of banners and sliders, can contribute to the professional performance of the store. And helps they achieve typical views from expectable customers. 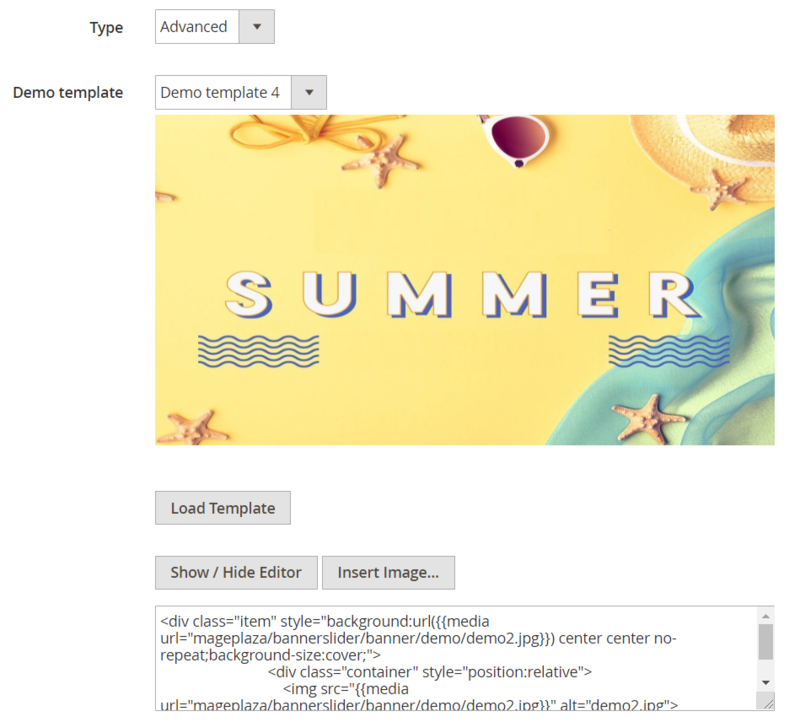 For website administrators who have certain knowledge and technical skills about coding, uploading images for Sliders can be quicker and easier than ever. You can input codes into the editor section, as the module supports advanced demo templates that can be edited via the backend editor. Furthermore, this function allows admins to upload multiple images at the same time, by embedding their links to the editor. 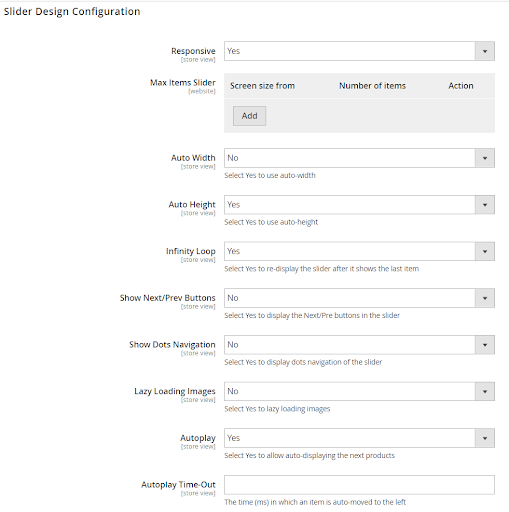 The extension allows the store admin to set position for Sliders easily from the options list with various available positions on the site. The main positions including the product view page, product list page, homepage, header, and footer. Furthermore, another way to locate Banner Sliders is manually creating a widget and add to any CMS Page, or CMS Static Block of the site. The strategic location of Banner Sliders will play an indispensable role in raising the interest in customers' mind, as well as stimulate their purchasing behaviors. View and edit Banners easily in management grids. Attach an URL to the Banner, and navigate to a new tab after clicking on. 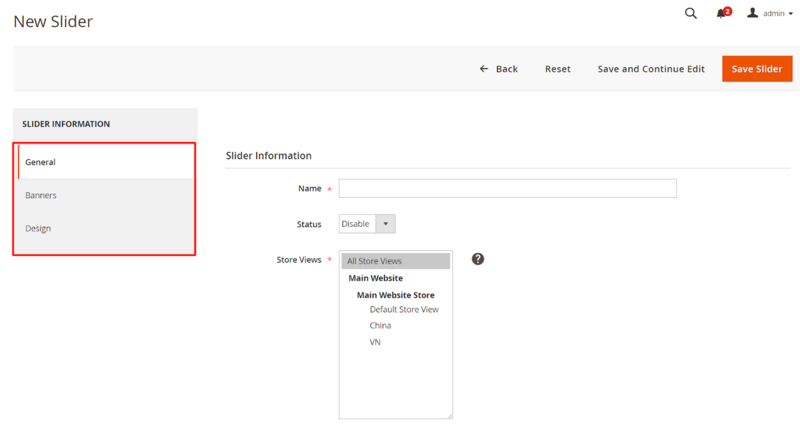 Enable Sliders' visibility to specific store views and specific customer groups. Set the amount of time to display the Slider. Banner Sliders can work well on multiple interfaces such as mobiles, desktops, tablets, and any other screen sizes. The extension will publish a report on Click and Impression data, which represents the possibility and effectiveness of Banner Sliders. 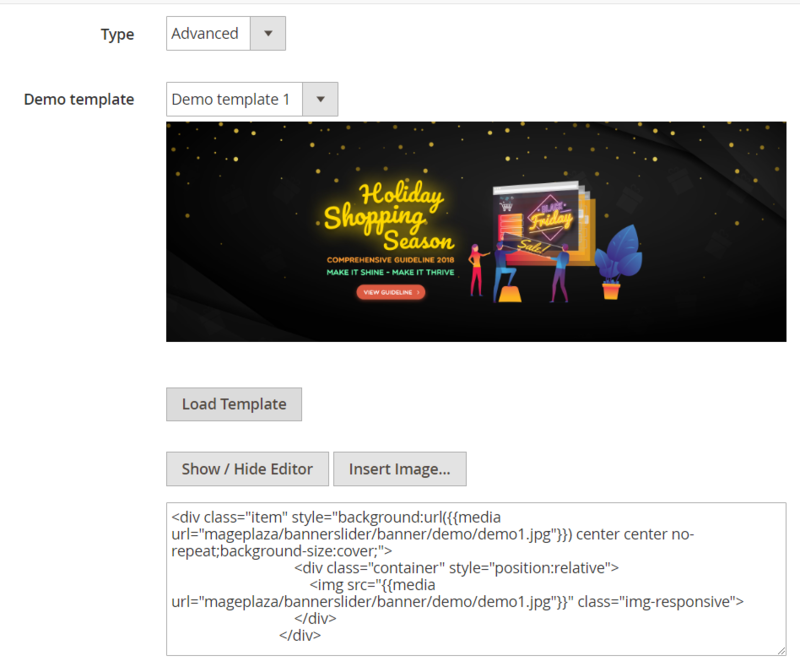 In this guide, I will show you how to insert A banner slider into Homepage of Magento 2 store. Enable: Select Yes to activate the module and No to disable it. Select No to set the default number of displayed Banners (1 banner). Select Yes to configure number of displayed banners. You can customize Screen size from and Number of items in the Max Items field. Auto Width: Select Yes to enable the auto-width function. Note: Use width style on elements to get the result you want. If using with infinity loop add option 'items' more than 1. It all depends on the width of your content. Auto Height: Select Yes to enable the auto-height function. Infinity Loop: Select Yes to display Slider again after the last Banner. You can select Yes to display Next/Prev buttons on the frontend when they want to see the next Banners or see again the previous ones. When customers click on Next/Prev buttons, the Slider will move Banners as their intent. Show Dots Navigation: Select Yes in this section to show dots that represent for the Sliders page number. Lazy Load Images: Set Yes to enable lazy-load mode when showing Banners. Autoplay TimeOut: Set the amount of time for Banners movement. From the Admin Panel, navigate to Content > Banner Sliders > Manage Banners, in the right side, hit Add New button. Name: Set name for the Banner. This name will help the admin identify the Banner. Status: Set Enable to activate the Banner. Upload Image: Click on the Plus symbol to upload an image for the banner. Banner title: Insert Banner title, which will be displayed on the frontend. URL: Set the URL of the destination page, which the customer will be redirected to when clicking on the Banner. 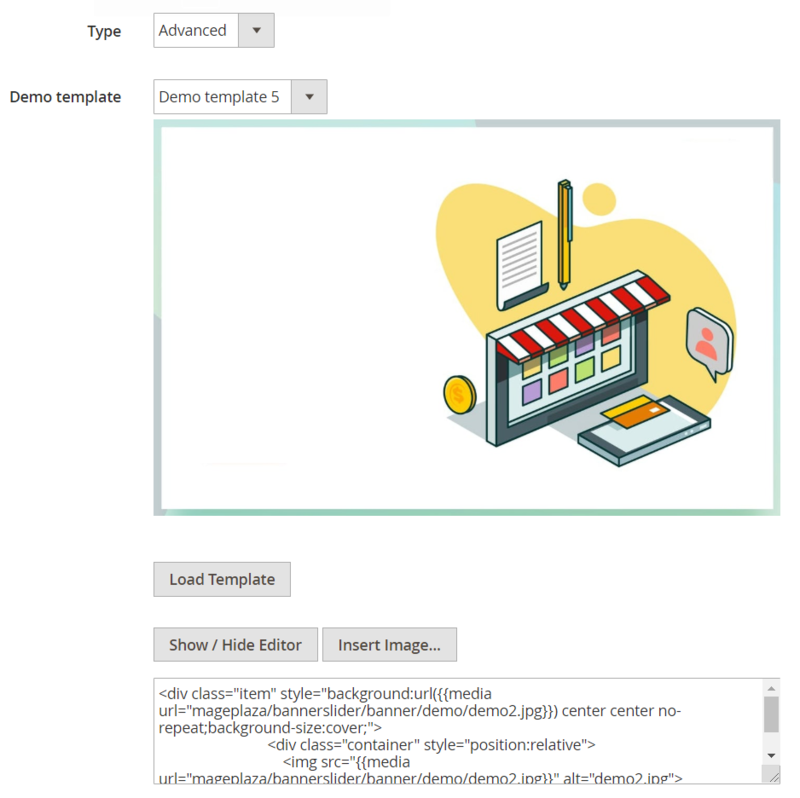 Click on Load Template button to display the image of the template. Set Show/ Hide Editor: display code, or image of the template. Insert Image: Insert image for the Banner (it is possible to add many images at the same time). You should add many images if changing Show/ Hide Editor to code format, it can be more feasible and prevent issues as well. Select Yes, your customer will be redirected to a new tab when clicking to one of the Banners. Select No, it will automatically reload the page, the customer will be navigated to the destination page, but still in the previous tab. Slider: Select the Slider in which Banners will be displayed. In the Admin Panel, navigate to Content > Banner Sliders > Manage Slider, in the right side, click on Add New button. Name: The name of the Slider in this section just can be seen from the backend. It helps to identify the Slider among others. Status: Set Enable to activate the Slider. This allows admin to see Banners easily and concisely. 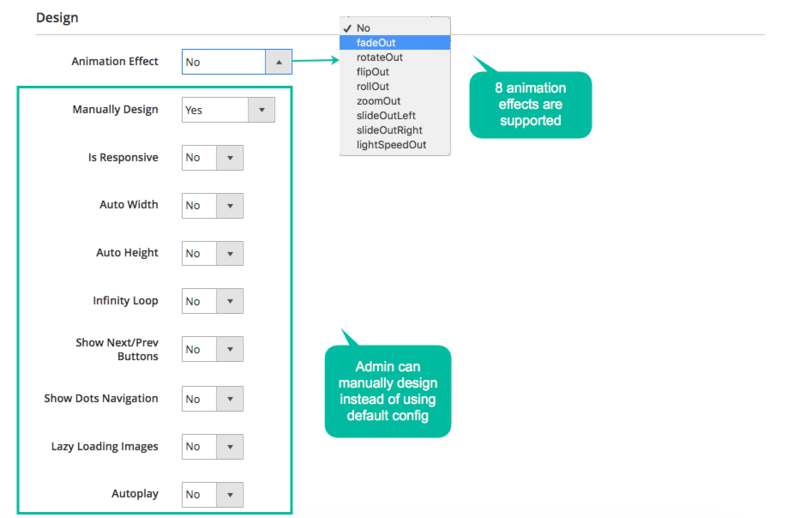 Position: Set the position to display Sliders on the frontend. 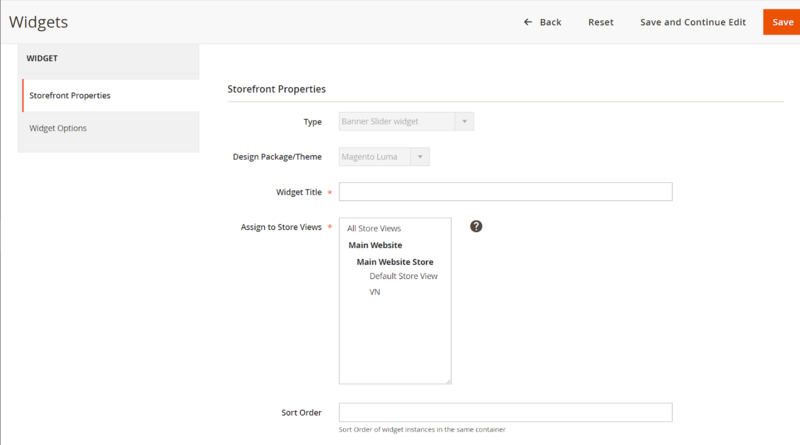 Store View: Select Store View in which Slider will be displayed. For unselected Store Views, Slider will not show up. Customer Groups: Define the group of customers who can see the Slider. Active from: Set the date to start showing Slider. Active to: Set the date to disable the Slider. Insert priority level for Sliders. The higher priority rank is set, the higher priority to display that Slider. For instance, if priority set as 1, that Sliders will be displayed first. For each Slider, it is possible to use Widgets, in order to set position to display. This section stores information about created Banner such as ID, Image, Name, Status, Type, Position. Here you can select an appropriate banner to show on Sliders. 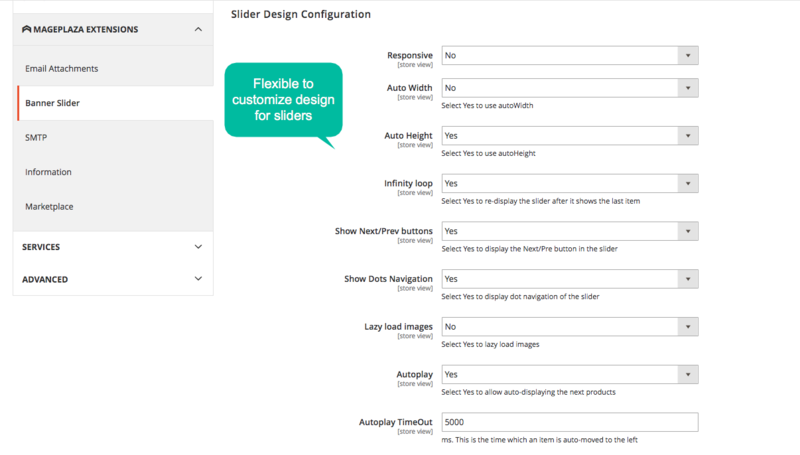 Set Yes to display customizable design for your Sliders. The design function is the same as in Slider Design Configuration, you can refer to the instruction that has been introduced above. Click on Continue to move to the next step. Step 3: Insert the required information to Storefront Properties. Step 4: Select position to show the Slider. Step 5: Choose the Slider which you want to display. Step 6: Click on Save button to save the configuration, then check how it works on the frontend.